From our local offices we install driveways and patios in Ealing, Acton, Perivale, Hanwell, Greenford and throughout West London. We are fully insured and all work is guaranteed, with no deposit required and nothing to pay until completion. 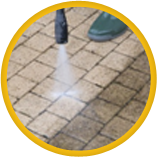 Whether you have a traditional or modern home, we have the perfect block paving range to compliment it. 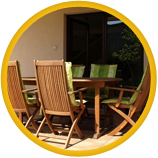 We pride ourselves on our timeless beautiful patio’s that will enhance any property. 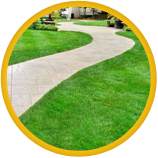 T & M Drives & Patio Ltd provide a wide variety of landscaping, patio and driveway services. Our friendly, experienced and professional staff are happy to offer free impartial advice for all your requirements. 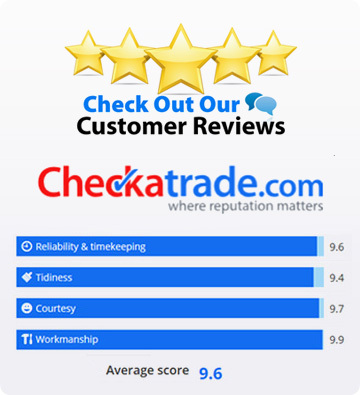 We pride ourselves on the quality of our work, our integrity and reliability. 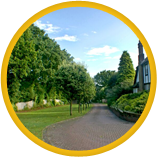 With many years landscaping experience, all our work is carried out to your entire satisfaction, so you can be sure you're in good hands. 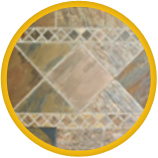 We offer a wide range of patterns, colours and designs to achieve the perfect approach to your property. 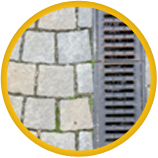 With our selection of features you can create an individual driveway, from steps, kerbs, manhole covers and landscaping. T & M Driveways and Patios only use high quality materials and ensure the foundations are properly prepared in order to achieve a long-lasting and flawless finish. We have earned a reputation for providing quality services to home owners and developers and take pride in our work. References are available from many local satisfied customers. 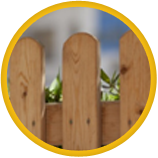 We provide a professional service from start through to completion of the contract. We are happy to discuss design ideas and go through in detail the installation process and anticipated completion date. To arrange a site visit do that we can provide you with a free, no obligation quote please call your local number. We look forward to being of service.